As usual you created a beautiful image. Great job. Lovely composition with contrasty colors. It looks so peaceful. 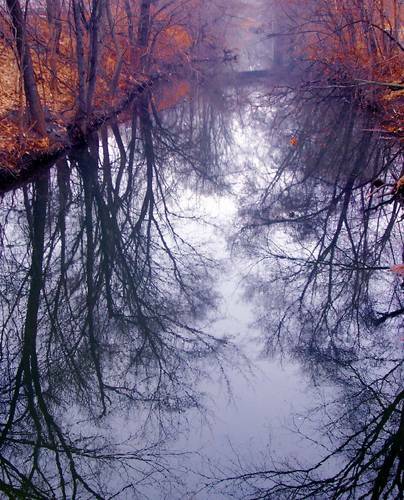 What a beautiful natural contrast of the Autumn leaves against the grays of the stream. Very nicely done! I like this Chloegirl..nice reflections and color.